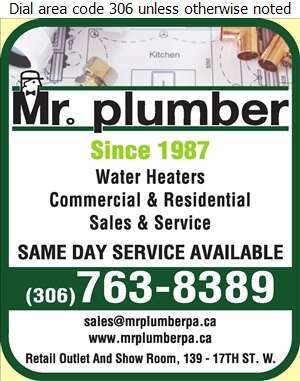 Mr. Plumber is celebrating 30 years of servicing Prince Albert and area. From drain cleaning to new construction, we do it all. Owner Luc Kadziolka and our professional staff are capable of delivering a level of service above the rest. Fast, courteous, clean, knowledgeable, caring and competitive - what more do you need. Our many years in business show our stability and strength. 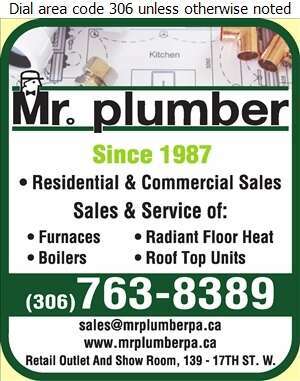 For all your plumbing, heating, cooling, renovation or new construction mechanical needs, we can do it for you. Water Treatment Softeners, Iron Filters & R.O.